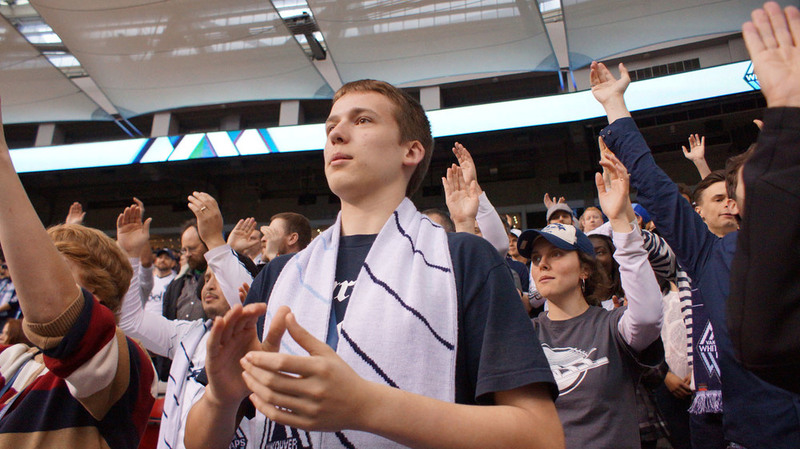 Our movement, Curva Collective, is dedicated to supporting Vancouver Whitecaps FC in meaningful and quality ways. We strive to do this at First Team, Reserve/USL Pro, and Residency/Youth matches and training sessions. It doesn't matter if the Whitecaps are home or away. We support from the moment our players first step onto the pitch to warm up until the last one departs the field at the end of the game. Being led in our chanting/singing/choreo, usually by a capo per section, with drummers, etc. Curva Collective are a diverse group of people of all ages and walks of life. What unites us is a love for the ‘Caps. We work collectively to support in meaningful and quality ways because we know together we can achieve more than on our own. Visit the Join Us page if you want to get involved with the Curva Collective Movement.